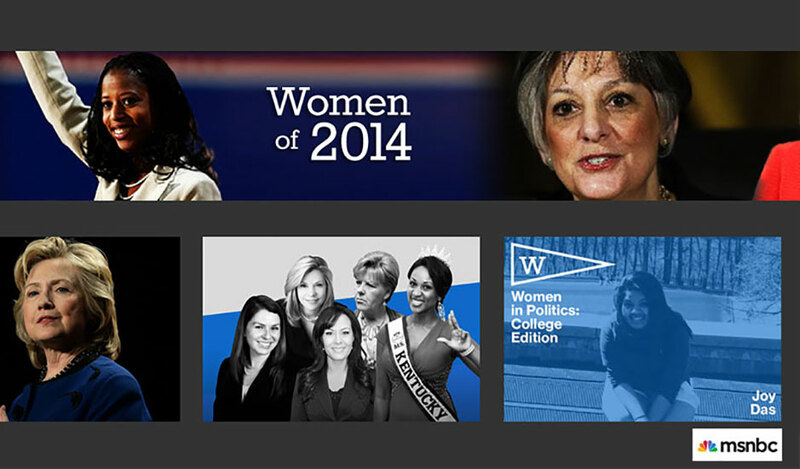 Joy Das ’14, Wellesley College Government President for 2013-2014, was featured on MSNBC Online as part of its ongoing series on Women in Politics: College Edition. The series spotlights promising women leaders in student government at colleges and universities who are making a difference not only through key issues on campus, but in bridging the gender gap in politics. Das comes from St. Louis, Mo., and majors in political science. In addition to giving welcoming remarks at Wellesley’s 2013 Convocation and leading College Government through this academic year, she has served as a residential assistant and as student bursar, the chief administrator of the Student Activity Fund with a budget of $605,000. MSNBC also asked Das her thoughts about pivotal moments in history, female leaders that inspire her, and what should be the current president’s number-one priority. Funny enough, the woman she named as an inspiring leader shared the headlines with Das when the story was posted on MSNBC's Women of 2014.